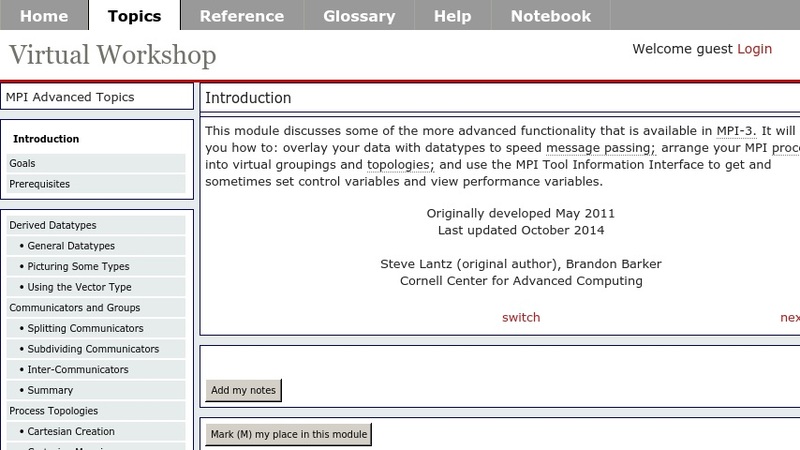 This module will introduce you to some of the advanced capabilities of MPI beyond ordinary message passing, including how to customize your environment in the following areas: derived datatypes; groups of processes and their associated communicators; virtual topologies among processes; and parallel I/O using MPI-IO. Application to specific architectures such as Ranger, Lonestar, etc. will be discussed.